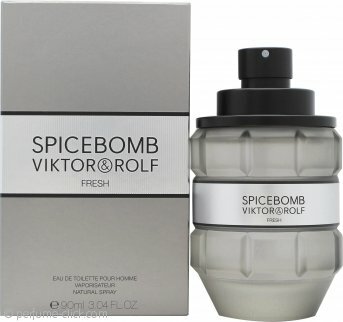 Spicebomb Eau Fraiche by Viktor & Rolf is an aromatic, spicy fragrance for men. It contains pink pepper, pepper, grapefruit, lavender, sea salt, elemi, tobacco, moss and amber. Spicebomb Eau Fraiche was launched in 2014.